1. According to the international standard design, each channel of the system has an independent constant-current source and constant-voltage source. 2. The internal electrical power supply uses the high efficiency switching power supply, the energy conservation effect is remarkable, each power tube has the independent protection circuit, guarantees the equipment works with safety and reliability. 3. Measure adopts four wire method, decrease contact error, increase measure precision. 4. Each channel is independent with high efficient cooling system, equipment can work 24 hours with full load. 5. Hardware adopts double loop control, can change from constant current to constant voltage without pinnacle, protect battery. 3u, 482.6*378*130(mm) 15kg. According to the international standard design, each channel of the system has an independent constant-current source and constant-voltage source The internal electrical power supply uses the high efficiency switching power supply, the energy conservation effect isremarkable, each power tube has the independent protection circuit, guarantees the Equipment works with safety and reliability. Measure adopts four wire method, decrease contact error, increase measure precision. 1450 * 380 * 1780(mm) 350KGS. Short on time? Let battery-testers sellers contact you. BTS is mainly used on performance testing and cycle testing of rechargeable batteries in battery producing factories, scientific research institutes and QC department. BTS (connected with net port) is composed by host computer, middle-subordinate machine and lower-subordinate machine, and BTS (connected with serial port) is composed by host computer and lower-subordinate machine. We are able to make for a range of current from 1mA to 1000A, a range of voltage from 2V to 500V to meet customers' special needs. wooden box. The fast, easy and accurate way to evaluate batteries. Get a complete battery analysis in about 5 seconds with the durable, handheld Digital battery analyzer and tester. It can display the voltage, battery condition and available power quickly so you know immediately if you battery needs service or if the battery is bad. Can test by CCA, SAE, JIS, EN, DIN, IEC. 230-110-60 mm. Lham Accurate Mold Co., Ltd.
•The 1-ball model It will provide a bright green indication if the battery is fully charged, a dark indication if the battery is discharged, and a clear and bright indication if the electrolyte level is low. The 2 Balls model It will provide a bright green indication if the battery is charged, a clear and bright indication if the battery is discharged, red indication if the electrolyte level is low. 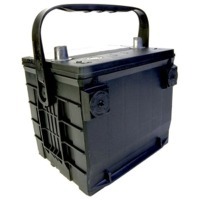 Advantages: Determines the battery cavity at a glance. Basing on specific gravity, indicates stable charging state Provides temperature compensation to assure accurate readings of battery temperature. Indicate a low electrolyte level. Reduces the need for OCV (Open Circuit Voltage) testing, thereby saving time. Reduces customer warranty claims. Improves end-user satisfaction. Length: 45/50/58/63/65 *Packing: 200pcs in a pp bag, then4200in a mater carton. *CTN Dimension:55*55*31cm/4200pcs/ctn *N.W/G.W/CTN: 38 / 40Kgs. We have all kind of power banks starting from 2600 mah. We were providing package as per your requirement. BX1 Technical Specification Single-phase, on-portable, Top type transformer, step current adjustment fan cooling hight duty cycle, safely and reliable Nice-looking easy moving suitable for industrial usage Wooden case package whitout accessories.